What a way to start a new year! 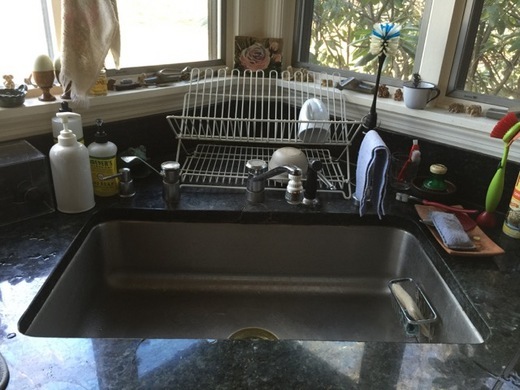 The choice of a cooktop and sink is something one has to live with for many years. 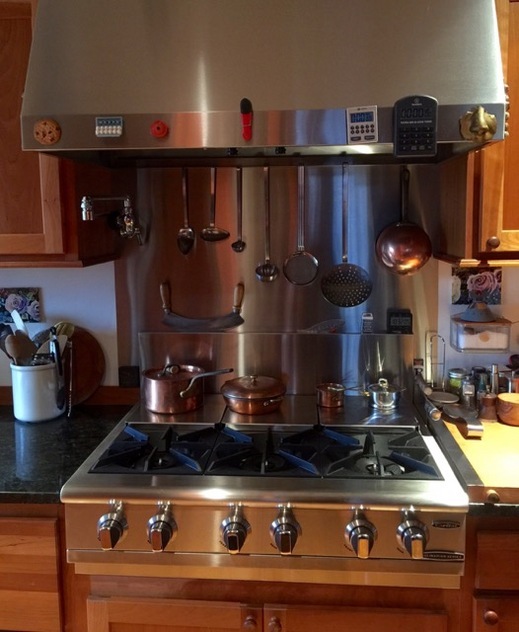 The last time I renovated my savory kitchen was over 20 years ago and I probably could have lived with my old Thermador cooktop and large stainless steel sink surrounded by a granite countertop for many more years to come. 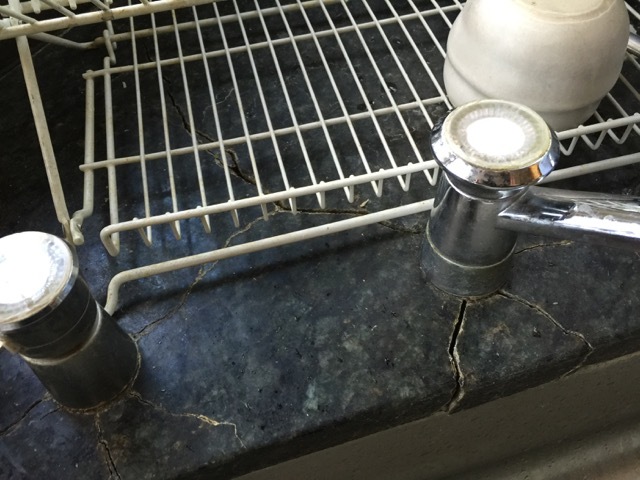 A few years ago, however, I noticed that the granite was cracking slightly around the sink area. I decided to consider it a 'rustic country kitchen' look, until recently when the cracks became so large water leaked into the cabinet below. The image that came to mind was of an ant thinking it had fallen into the Grand Canyon. What happened was that the foundation of the extension that had been constructed to make a longer kitchen had gradually settled. I realized that if I was going to put in a new sink and countertop, this was the time to replace the cooktop at the other end of the counter that did not have a much desired and useful simmer setting. My step daughter Beth Beranbaum, who is an architect, told me that one of her clients recommended the Capital cooktop. After researching on line it looked like the best choice and indeed it is the most precise and beautifully designed cooktop of my cooking experience. 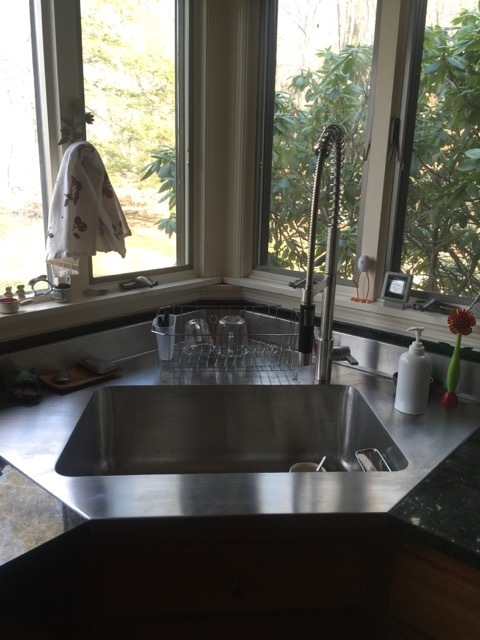 Next, I needed to find a stainless steel sink and countertop that would be custom designed to fit into the existing kitty corner area. I wanted it to be seamless as it is so much easier to maintain and clean. Elkay sinks have an excellent reputation and they worked with me and Phillipsburgh Marble (the installer) to create the perfect sink. Having gone this far, I rationalized that such a stunning new sink deserved the best high rise faucet by Dornbracht. Since I have been enjoying this faucet for 2 years in my baking kitchen I knew that it would be ideal. Construction and reconstruction are always fraught with the unexpected and much agonized hand-wringing, but I have to say that his time around, thanks to the professionalism and cooperation of the company representatives, the vigilance of Bob Baron of Phillipsburgh Marble, and the incredible artistry and skill of Dave McNally (who is a first rate cook and baker in his own right), my upstairs savory kitchen is as much of a joy for cooking as my downstairs kitchen is for baking.